Law and morality are the ways of regulating of the social relations. The right, as well as a morality is a dynamic system that has a different expression in the different historical epochs. This entry was posted in Ethical and tagged law, morality on 06/09/2018 by Mary. 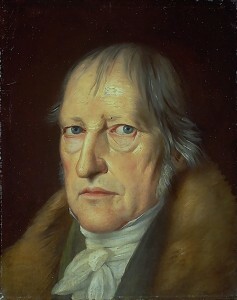 German philosopher Georg Wilhelm Friedrich Hegel (1770 – 1831) doesn’t take a significant place in ethics compared with philosophy in general. But he made a very decisive step forward – the transition from ethics of goodwill to the ethics of socially meaningful activity. This step was necessary for the appearence of a historical-materialistic theory of morality. This entry was posted in Ethical and tagged freedom, Hegel, law, moral, morality, philosophy on 03/06/2016 by Mary.